Dubai, 7 February 2019: Looking to surprise your loved one with an unforgettable experience on 14 February? 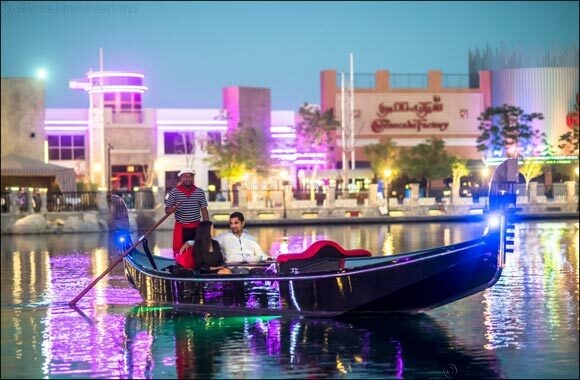 Riverland™ Dubai, the charming dining and entertainment locale at Dubai Parks and Resorts offers couples the chance to celebrate the most romantic day of the year with an enchanting gondola ride, followed by a dinner under the stars in the classic Venetian flat-bottomed boat. Treat your loved one to this memorable 45-minute to 1 hour private cruise that includes a sumptuous dinner for two, priced at AED500 per couple. The picturesque private gondola ride down the river past the medieval French Town is a great way to celebrate the occasion. The special experience is available until 16 February. Riverland™ Dubai is a uniquely themed dining and entertainment destination showcasing four different zones. The French Village, Boardwalk, India Gate, and The Peninsula, offer a fascinating glimpse into some of the greatest eras of our past. Guests can travel to exotic cities and medieval towns without setting foot outside the park and enjoy dining at a range of restaurants that dot the venue.